Welcome to the largest single-source veteran database. With over 1,000,000 registered veterans, RecruitMilitary is the clear go-to for companies seeking people like you. Gain access to the largest single-source veteran database available. Search profiles of qualified candidates, post jobs, reach out through targeted email campaigns, and even build a branded presence on our site. We publish Search & Employ®, a bimonthly print and digital magazine designed to help transitioning military, National Guard and Reserve members, and their spouses find jobs, opportunities, and continuing education. Take the opportunity to be featured in Search & Employ®. Your article or ad will appear in 50,000 print copies that are distributed every two months, as well as in the digital version and emailed newsletter. For nearly a decade we have perfected the art of the veteran job fair. 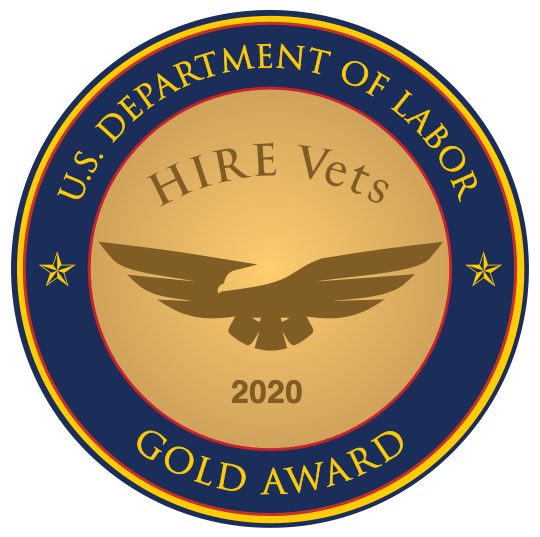 We provide a unique experience that opens doors to careers with employers who understand the value of the veteran population. With over 100 job fairs in 60+ markets each year, RecruitMilitary understands how to help you find success. RecruitMilitary is the nation’s leading veteran hiring company, and we want to help you. Tell us whether you are looking for a job or looking to hire, and we’ll give you more of the details that matter most to you. Creating a support structure that gets the right people in the right positions. The top recruitment and employment branding agencies have recommended RecruitMilitary to their clients for the past 17+ years. We speak your language, understand your deliverables and your deadlines. We also grant head-of-the-line privileges to our agency partners when it comes to RFP responses, product queries, and reporting analytics. There is no better way to reach the job-seeking military-experienced audience. Through channels we have created and grown, you’ll give your clients creative flexibility to extend their outreach. Tell us what your client is trying to accomplish, and we’ll provide a planning packet with pricing options and the rationale behind our recommendations. RecruitMilitary can connect you directly with a continuous stream of qualified veterans who are actively seeking to leverage their enhanced benefits with appropriate educational opportunities. Almost all enlisted personnel on active duty have a high school diploma or equivalent. So transitioning personnel are well-prepared for formal, civilian post-secondary education / training. Recruit men and women who are transitioning from active duty to civilian life now—before they actually leave the service—when they are making critical civilian career decisions. 200,000+ men and women transition out of the military each year. RecruitMilitary can get you in front of that fresh flow of potential franchisees — men and women who possess the initiative and self-discipline to succeed with their own business. Through programs such as VetFran and the SBA Patriot Express Loan Program, veterans have an easier time than civilians obtaining necessary investment funds. Most transitioning veterans have a military pension and other retirement benefits. So, in addition to their training and experience, they bring risk tolerance to the game. We have proven success in connecting government agencies with military talent, offering exclusive discounted pricing available. RecruitMilitary creates, produces, and coordinates all of our services, with a proven track record that gives our partners confidence. This, together with established relationships with more than 20,000 companies and government agencies, means our pricing is competitive and our return on investment is the best in the business.